The Law Office of Kristi Barnhill provides personalized and efficient advice and representation for clients in and around Houston and Montgomery county who need help with divorce, paternity, adoptions and name changes. Contact our law firm to learn how you and your family stand to benefit from our experience and commitment to the immediate and long-term interests of the people we serve. 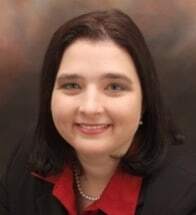 Houston divorce attorney Kristi Barnhill works closely with each of her law firm's clients to help reduce the stress, anxiety and confusion of a crisis in family life. She can help you sort out your priorities and objectives. She can give you a good understanding of your rights and responsibilities under Texas law. She can also show you how to develop and execute a sound strategy for accomplishing your goals. Our law firm works with people across the range of family law needs: contested or uncontested divorce, child custody, child support, community property division, paternity and fathers' rights, modification or enforcement of family court decrees, and other matters related to divorce or parenting issues. No matter what problem brings you to our office, you can depend on Houston lawyer Kristi Barnhill for practical advice and sound, cost-effective strategies that are tailored to your specific needs. Find out more about the ways a knowledgeable family lawyer can help you through a difficult period in your life and your relationships. Contact the Law Office of Kristi Barnhill in The Woodlands for additional information. We handle a variety of family law cases, including: divorce, child custody and child support, stepparent adoptions, name changes, paternity, temporary orders, and prenuptial and post-nuptial agreements. At the Law Office of Kristi Barnhill, we can help you with your child custody, support or visitation issues - whether you are currently going through a divorce, have lost your job or have a change in income and need to modify a court order. Uncontested divorces typically settle out of court, saving time and fees. Parties that are able to get an uncontested divorce find this option not only to be most cost effective, but also in the best interest of their children. Before you can begin the process of changing your name with the Texas Department of Public Safety and the Social Security Administration, you have to have the new name approved by the court. No matter what the reason for adoption, the process to complete an adoption is very technical and you will most likely need legal assistance. The Law Office of Kristi Barnhill is here to help.